This store part of the festival leisure complex on the outskirts of Basildon and has a wealth of free parking which it shares with Empire cinema, Hollywood bowl and other eateries. It was time for a Rate Your Nando's team adventure to a Nando's which neither James nor I had previously frequented for Sunday lunch and Basildon Festival Leisure fitted the bill perfectly. We arrived within about 40 minutes and felt most welcomed to the area by various enticing road signs! We managed to locate the Nando's in the Leisure Park after a minor moment of uncertainty given the usual complications when using a post code for a leisure centre with no street number. Chosen kids desert not available. They were taking the Xmas decorations off around us ... standing on chairs to do so, and then 2 minutes later customers sitting down on those chairs! This is my favourite Nando's restaurant by far! Friendly staff, quick service and always clean. This is a great starting point before mentioning the actual food! The chicken is always cooked very well, with a generous amount of sauce given (mango and lime - my favourite!). I always enjoy going to this Nando's as I know I will never be disappointed. I usually go in the evenings and it's usually very busy - another good indication that the restaurant and staff are a big success. My first and last visit to a Nandos. If a restaurant specialises in just one thing I.e chicken, then it should not only be good but exceptional. Our chicken was dry luke warm and tasteless . If it had been marinated in something then it must have been fresh air. The chips were also Luke warm and floppy and the salad was small boring and tired. You can get better chicken from an average fish and chip shop and certainally better chips. Very quick and excellent service. Food came out fresh and tasty. Restaurant was very quiet however staff were seen to be working hard still. This Nando's is on the Festival Leisure park, which has no fewer than three hotels, a cinema, bowling alley and other pubs/eateries. There are hundreds of free spaces - so easy to get to. Easily the worst branch of nandos we have been to and we have visited about 10 between us. Service is terrible: the servers seem to be brain dead and no sense of urgency about the place. Table in between two doors ( bad design) so was freezing throughout our very long wait. Could see our food sitting waiting to be brought to us for ages. Chicken Luke warm and burnt. Overall not to shabby had a good night and went to the cinema which is next door then into chicago's after that which again is next door! Parking is good if you get there early enough but if your using public transport it can be a pain to get to! The Festival Leisure Park "BasVegas" Nando's was the 33rd to open in the UK, and much in the same vein as the Cheshire Oaks branch, is bolted onto a cinema, bowling alley, night club, and various other chain restaurants, surrounded by a large car park. On entering, we stood at the door for quite a while, waiting to be greeted by staff members who were off doing other things. It seemed nobody was set on door to table duty, but that's pretty much where my complaints end. Basildon branch is as good as all the other Nando's out there! But it lacks size and it gets pretty rammed in there. It could do with an extension into the main lobby of the cinema which I'm sure they would allow. It seems like it has been forgotten and needs some SPICE to it just like its peri-peri. I hope you take this into consideration. I eat at nandos atleast 50+ a year easy, me and my Girlfriend visit frequently together and order a wide range off the menu, we LOVE it! 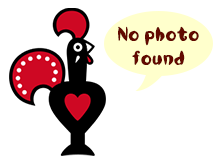 This is a really nice Nando's; clean and well decorated with friendly and helpful staff. The food arrived quickly and was of a really high standard.